These extremely durable, high quality units are made to look and feel just like real garden rocks, blending seamlessly with your outdoor environment. 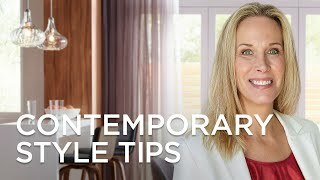 You can string a maximum of three together on one lead, or connect them individually via a 20 foot wire to the transformer unit. Light a patio area or a garden walkway, or you can even use them indoors on plants or potted trees. Set includes a 40 watt transformer with timer and photocell and five LEDs. Each rock has a 20 foot strand of wire, plus one 12" interconnect lead. LED landscape lighting kit; each rock light is 4 1/2" high x 6" wide x 3 1/2" deep. Kit comes complete with a 4" wide, 3" high 40 watt transformer with photocell and timer, and 20-feet of wire for each light. 3 watt LED module in each light; 3000K, 350 lumens, comparable to a 35 watt incandescent bulb each. 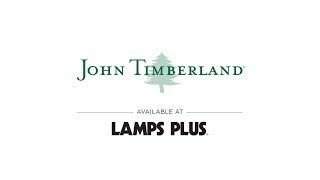 A great accent for flower beds or garden pathways; from the John Timberland brand of landscape lighting. Gray stone color, rock texture and finish. Plug-in low voltage LED simulated rock garden lights--the only ones I could easily find. No contest! I wanted more light than solar and a natural look. How do I get replacement Led bulbs for these lights; do you have them in stock? BEST ANSWER: Hi - the LEDs are built-in, so there are no bulbs to install or replace. 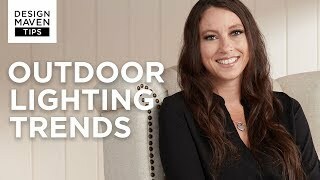 Are these rock lights waterproof ? BEST ANSWER: Yes they are waterproof. I have had them for almost a year in the Kansas City area, through the last winter/snow and they worked great and they look great too. I purchased this product (x2: two transformers, 10 rocks) but I am a bit confused: there is a transformer, with 5 receptacles from the transformer. The rocks can also be daisy chained to each other. How many rocks can I put together off any one of the five receptacles, and how many rocks in total can I run off the 5 receptacles from the transformer? BEST ANSWER: Hi, each transformer has a load of 40W max which can handle 12 of these 3W LED rocks. Can it be purchased without transformer? BEST ANSWER: Hi James - this can only be purchased as a complete set. are these 12vac or 12vdc? Can they be hooked up to an existing 12vac outdoor transformer? BEST ANSWER: This is designed to be used with and includes a plug in power source 120VAC. Where do I get replacement led modules? Can you buy individual rocks to either replace or add on to the 5 light set? BEST ANSWER: I'm sorry, this only comes as a set. These are really nice. I wish they had more on one transformer and I wish the cord was able to be shorter in some way. I have these about every 6 feet in the linear flower bed pointing up - at the vines growing on trellises - and they go very far up, even reaching to the tops of the oak tree canopy in the yard if I point them that way. The cord is 20 feet long on each one! That's a lot of cord to wrap up and bury and it's bulky. You would never use one of these every 20 feet. They're meant to be closer together for maximum effect in your garden. I think it's a great product, and in order to get the whole garden lit evenly I'll have to buy 2 more sets. I'll have to see if I can change the cords somehow to 10 feet instead of 20 feet long. Lamps Plus has been wonderful in honoring an absolutely worthless product. The lights are not properly sealed and every single rock light has beeen replaced in less than a year! Don’t waste your money even on this sale item. I’m guessing they are discontinuing this inferior product. Hardly noticable in daylight; provides great fill as well as feature lighting at night. 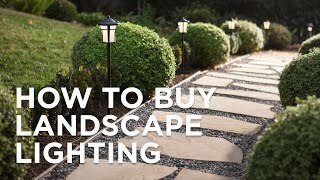 The perfect solution to nighttime garden and walkway lighting. Highly recommend this kit. I used two sets for my front yard. used two lamps to illuminate leaves of Japanese maples. barely detectable in the dry river bed border. transformer came smashed. promptly replaced. cord was more the ample distance for 50' each set. extremely happy with purchase. We love our new ourdoor lighting!! What atmosphere!! While they do look neat, these lights are garbage. Mine lasted less than a year as they one by one died over time. Waste of money. Hi David K., so sorry that your landscape kit setup failed after a year. If you require assistance, please reach out to our customer service team via phone, email, or chat. Thank you. There are no accessories. Sad that they made a kit that will hold 6 additional lights with no way to purchase them. While they look nice, the bulbs don’t last long and Lamps Plus no longer sells replacement bulbs. These should be removed from their site. Can’t find the bulbs online either, what a waste of money and expense having them installed. 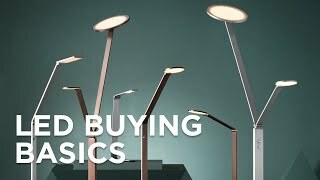 Lamps Plus should stand behind the products they sell. Hi Traci C., very sorry for any confusion regarding the LEDs in this design. These lights use integrated LEDs that are built-in. Our customer service team has reached out to you to assist with this. Thank you.